"While there have been claims made that ADHD is due to a chemical imbalance, there is no scientific evidence that shows that to be true. There is no biological test for ADHD, the diagnosis, of course is based on an observation of a child's behaviour." As a family therapist, I work from an Adlerian approach to help families with children who present a range of behaviours that are challenging and problematic. I can't diagnosis and I can't medicate. Instead, my work helps children change their behaviours to more constructive, pro-social ones. Let's look to the definition of ADHD as a starting point. Dr. Russell Barkley writes extensively on ADHD and says: "ADHD can be described by one symptom, an impairment in inhibiting behaviours and delaying a response. It is this problem with behaviour inhibition that is the hallmark symptom of ADHD." If we use this definition to serve as our common understanding, then I can apply my Adlerian conceptualizing of behaviour. I don't use a biological lens, but rather I see behaviour through the lens of the psyche. I try to understand a child's internal belief system. After all, if you believe you might drown, it makes sense for you to refuse to get in the water. Motivations, beliefs and behaviours must be understood together. 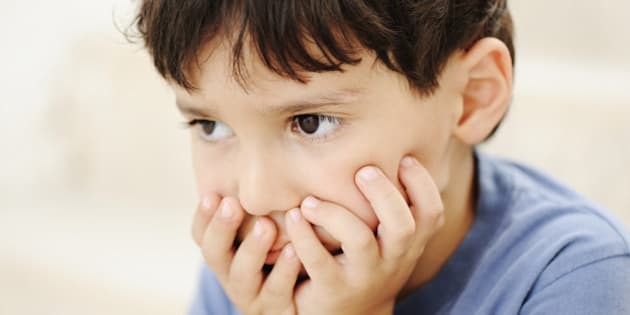 So, now to do the equation backwards: If a child is impulsive, what would that child need to believe in order for that behaviour to make sense for him or her? We must figure out a child's private internal logic to understand how he or she views the world and how he or she has decided to operate in it. In children who meet the criteria for ADHD (notice I am not saying children who have ADHD) there is a common theme in their belief systems. As the internationally esteemed Adlerian family therapist Dr. Frank Walton points out, it is likely the that the belief system of the child contains the premise, "People are in the world to be concerned about me, not for me to be concerned about them." The second most common premise is very much like this: "Adults will control your life if you give them a chance. You can bet they are not going to control me." If children don't care much about fellow humans and don't want to be controlled by others then when they are in the classroom and someone has something they want, they simply take it with no regard for consequences. If the teacher requests that children sit and do desk work, but they would prefer to play, the children ignore the needs of the situation and concern themselves with what they would like to do instead. This appears to be inattention, but when they find something to do that they like, they have all the attention in the world. Is is not a inability to focus, but rather a refusal to focus on what adults would like them to focus on. They want to do their own thing. How does a child come to be so self-interested? We look to their early environment for the answer. The family atmosphere and parenting styles that help shape the child. Every infant is born with the innate capacity for "social interest," also known as a caring for others. This quality is universal among social creatures which we are. However, this capacity must be developed, and this is the work of the parents. Children need to grow their concern for others, first by spreading their interest to their mother (or primary caregiver), then their father (or secondary caregiver), then their family as a whole and eventually to their classroom and larger community. The current parenting styles in North America are either autocratic and controlling or one of pampering and coddling children. Kids hold the exalted position in the family in this era. Children are often protected from the reality that one must contribute, even at the youngest age. Simple inhibiting responses such as not interrupting their parents when talking or enduring a meal that is not their favourite food are no longer practiced in most modern families. No one need agree on a TV show, now they can each watch their choice on their own screen. So you can see how it is more likely today for children to believe they are the centre of the universe. This does not prepare them well for life in the community, which is what school is all about. It's not co-incidental then, that we see the highest rates of struggles and diagnosing of ADHD in seven year olds as they begin to fail at meeting the demands of being a student. So how do I work with the family without prescribing medication? I help the parent develop a new authoritarian or democratic parenting style and prescribe a list of activities that will stimulate and grow the child's concern for others. 1. Draw a firm line when behaviour infringes upon rights of others. 2. Do not allow yourself to be interrupted. 3. Do not allow the child to command your attention when your rights or the rights of others are being infringed upon. 4. Give opportunities to children to be a help to others, especially by inviting the child to be involved in a task that is appealing to him or her. 1. Let your child see and hear you empathizing with the difficulties of others. 2. Have your child call, email, text or visit with a grandparent or relative in order to put some good cheer in that person's day. 3. Have your child perform a random act of kindness for another. 4. Write a note of thanks or a love note to your child. 5. Mention something you can't do alone or don't have the time to do and then invite them to help you out. 6. Discuss the challenges of being a teacher. Invite the child to do something caring for his or her teacher (draw a picture, make a treat, write a note). 7. Comment on the cooperation shown in simple ways in daily life, including the courtesy of a clerk in a store, newspaper stories showing charitable responses to a situation. 8. Model kind and caring behaviour in your own home and in how your treat your own parents and siblings. 9. Note occasional thoughtless or unkind acts observed in society and mention alternative for dealing with the situation. 10. Show affection to the child. 11. Smile whenever you can -- smiling invites connection among human beings. Regardless of you own belief in the underlying causes and cures of ADHD, these interventions will go far in helping a difficult children who meet the criteria as they learn to care about others. When they think of others, they improve their desire to self regulate their impulses. They may wish to stand up and leave their desk, but now they see how this disturbs others. Now they notice and care about how this negatively impacts others. They learn to watch and notice what the needs of the situation calls for, and put others before their own wishes. Children with a good sense of social interest will wait their turn in line, do the task assigned even if it's not their favourite task, because they care about their fellow students and their teachers and the classrooms' need for order.